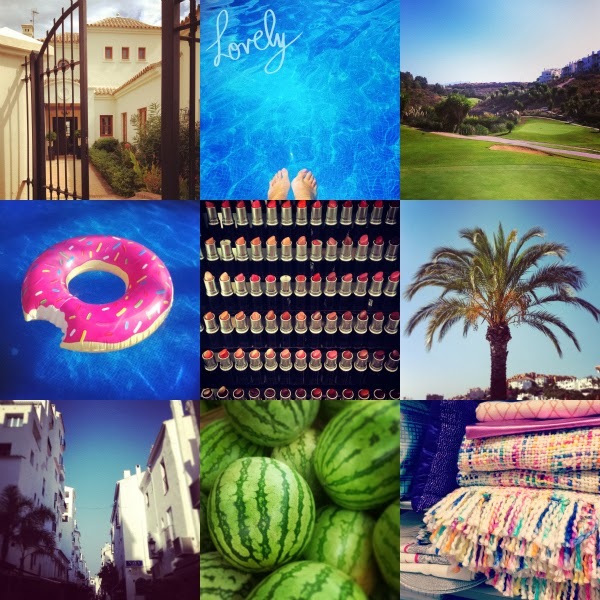 our beautiful villa for the week | feet fun | the golf course | the doughnut lilo.. best thing I've ever purchased | the glorious mac counter | palm trees | puerto banus town | watermelons | zara home.. too much textile temptation!! turtle feeding time at the golf club, we all found this far too exciting! | opi polish rainbow | pool time | shopping ootd | street art | the airport | ocean club | me and the boy | cocktail time! our pool | our room had a huge balcony perfect for watching the sunsets | my yachts... well a girl can dream! | american apparel airport shopping | me and boy... post cocktails!! 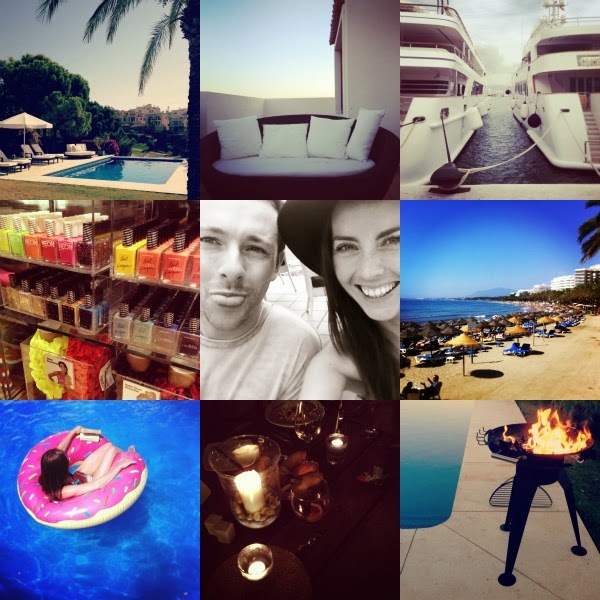 | marbella beaches | me and my lilo were pretty inseparable | dinner at the beach ..our last night | family bbq time!! I promise not to bombard instagram with any more sunny pictures, it'll be all rain and gloom from now on... wink! if you want to find me and stay up to date with my latest snaps I'm right ...here! 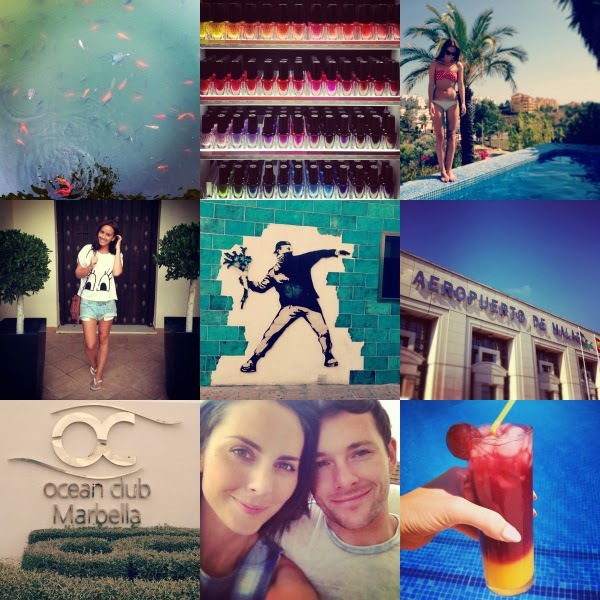 I don't see myself as a Marbs girl, but these pics look fab! G;ad you have a good time. Love that donut lilo!! Haven't been to Marbs in ages! Looks like you had an amazing time! I really want that donut rubber ring! This looks like such a fun holiday, lucky you :) I miss the sun already!